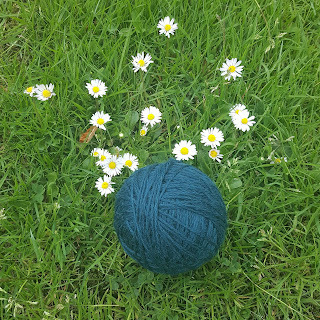 Generation to Generation - Made by Kym: Cumbria Yarn! 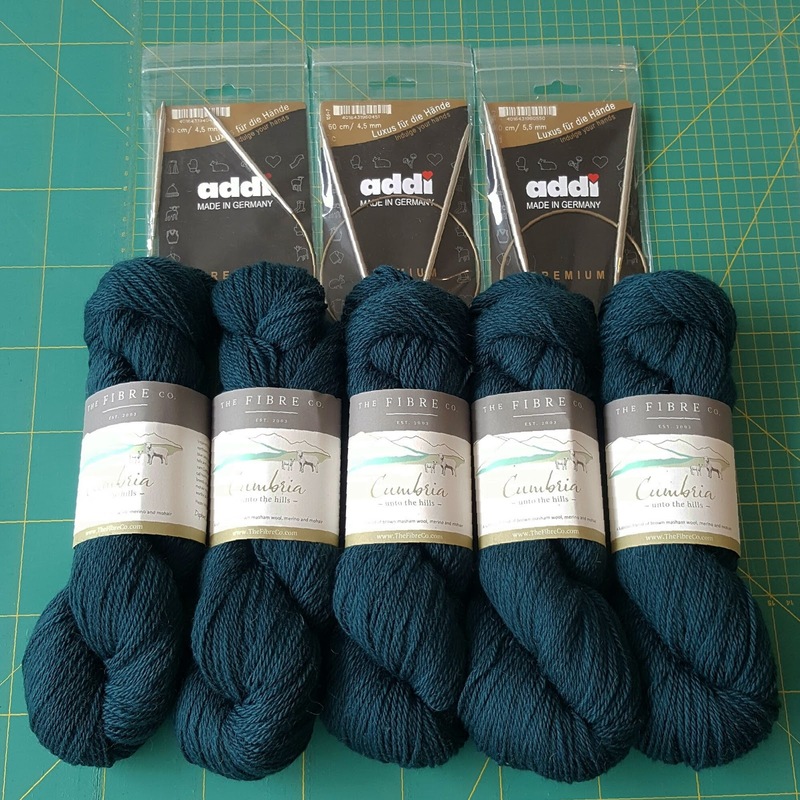 Cumbria is my home county and is very dear to me so I was so excited to hear that The Fibre Co. had produced a range of yarn called Cumbria …and even more excited to hear that it was being stocked in my local haberdashery! First time using circular needles.. these ones from addi are fab! 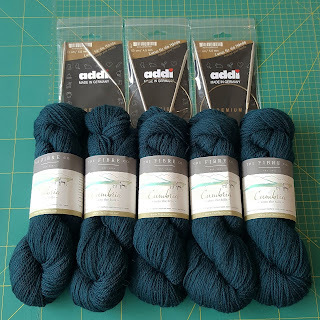 Luckily I had a voucher to spend as this yarn does not come cheap (£18 per skein!!!) but it is top quality and totally worth it! The colour range beautifully reflects the ‘deep blue lakes and sheep-grazed fells and valleys’ (as described on the yarn band) of the region. Its blend of brown masham wool, merino and mohair gives such a soft yarn that is fantastic to work with. I chose the colour Eden Valley as this deep turquoise is one of my favourite colours and The Eden Valley is very close to where I grew up! In a rare week off work I went to visit my family in Cumbria, it was fantastic to see them and good to get away from the madness of London for a bit! I took my new yarn with me and got started on my most challenging knit to date… a summer cardigan! Lots of googling and you tube watching to follow with this one I think! 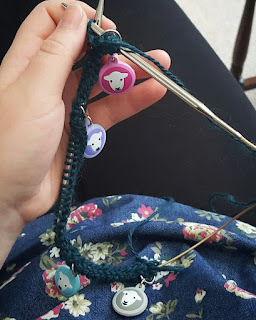 Finally getting chance to use my cute Herdy Stitch Markers! Follow my progress on Instagram!